The Standing Stone: Ballagharahin, Wayside Cross, Co. Laois. 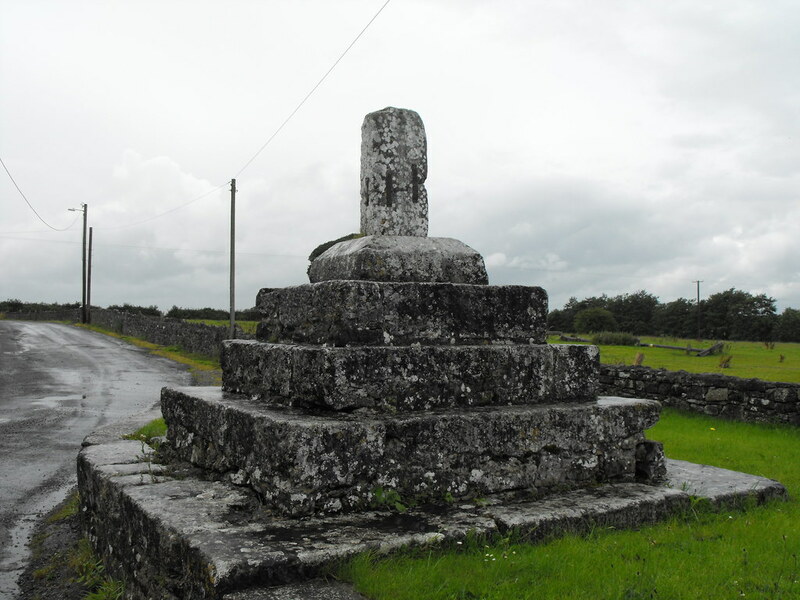 Ballagharahin, Wayside Cross, Co. Laois. Location – OS: S 222 779. Opposite Erill church and N of Ballagharahin tower house. The OS map locates the cross on the wrong side of the road. Description and History – This site was hard to justify as its own post and I thought I might put it in with the neighbouring church but there is nothing apart from location to suggest that these two sites are connected. The cross is certainly not in its original location as it sits in a modern base. All that’s left of the cross is the shaft and stands to 0.85cm. 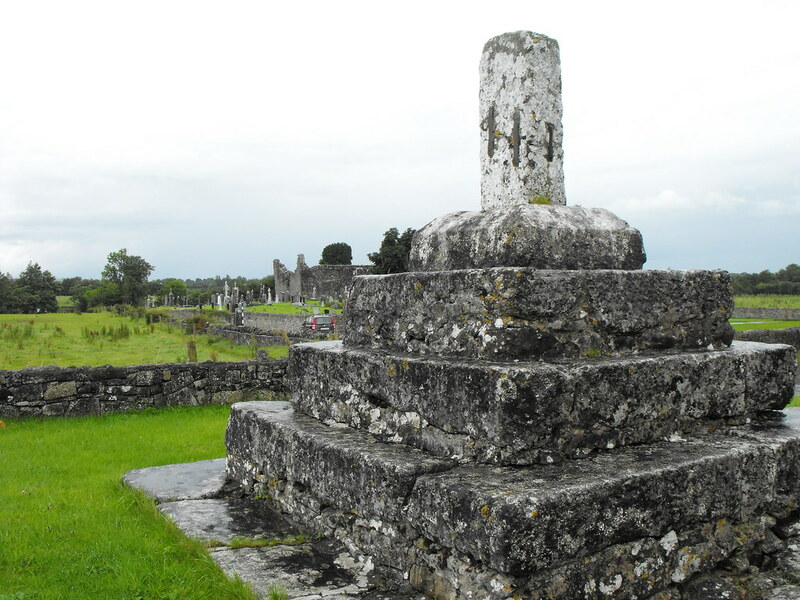 I need to re-photograph this site as subsequent to my visit I learned that there is a coat of arms on the cross and two inscriptions dating from 1613 and 1622 which is dedicated to the Baron of Upper Ossory and his wife Katherin More and their son and daughter-in-law. Difficulty – Easy to find as it is located right on the edge of the road. There is ample parking. For more high crosses, click here. Looking to the NE at the church ruins. This monument was enclosed by the present wall about 15/20 years ago. I can't see any ground for thinking that it is not in its original position .The inscription is long lost but is reproduced ed on a modern stone .